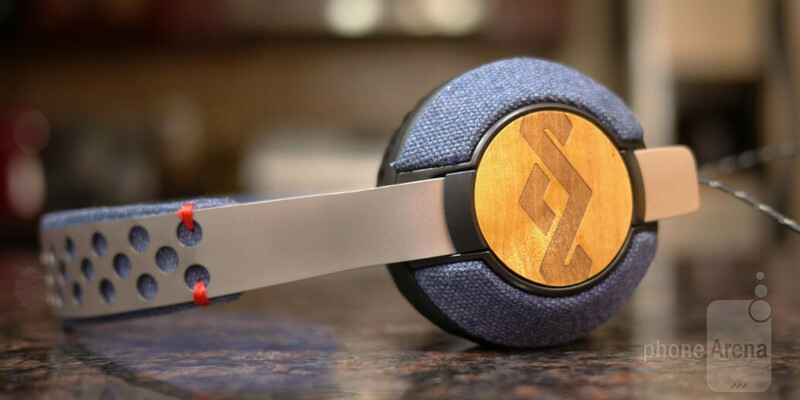 House of Marley’s line of on-ear headphones are distinctively different from the rest of the crop, mainly due to the fact that they all deliver premium audio – while still paying homage to being eco-friendly. One of its latest models, the Liberate on-ear headphones, aims to supplement Marley’s mid-range selection of on-ear headphones. So how does it stack up? Let’s quickly find out. Above all, there’s a sense of style and fashion associated with the design of the HOM Liberate. Unlike the plastic construction of today’s contemporary headphones, the Liberate opts to employ a diverse set of materials to give it a humble exterior. First and foremost, it exhibits plenty of sturdiness thanks in part to its stainless steel headband – though, it’s not padded enough to our liking. Nonetheless, the blend of reclaimed hemp and organic cotton that make up its fabric-like material gives it a classy level of fashion. In addition, we continue to see emphasis on natural designs with the Forest Stewardship Council (FSC) certified Sapele wood that accents the outside of each ear cup. Putting the Liberate on, it’s nice that the ear cups can be adjusted to properly fit over our ears – plus, the cushioned padding around the ear cups gently rests against our ears to give us comfort during extended usage. However, the Liberate has two set of wires dangling off them from each ear cup, which gets to be annoying seeing that the 4ft braided fabric coated cable can still sometimes get tangled, despite the notion that HOM specifies them as being tangle-free. Heavy bass lovers will undoubtedly enjoy the quality of the HOM Liberate On-Ear Headphones, seeing that there’s a commanding emphasis on it. At the loudest volume setting, though, its quality deteriorates due to its strained and crackly production. On top of that, audio tends to be sharp and shrill to the ear – so it’s best to place it around the middle volume setting for optimal results. Much like most of the products from HOM’s portfolio, the Liberate doesn’t come cheap – though technically, it’s priced to fit its mid-range segment. Specifically, it’s currently priced online at $110, where it can be picked up in denim, midnight, or saddle finishes. Being different is a good thing, and that’s what HOM is able to clearly do with the design of the Liberate! Heavy bass lovers will appreciate the head pounding tones it’s able to muster up, but it loses its punch at louder volumes.